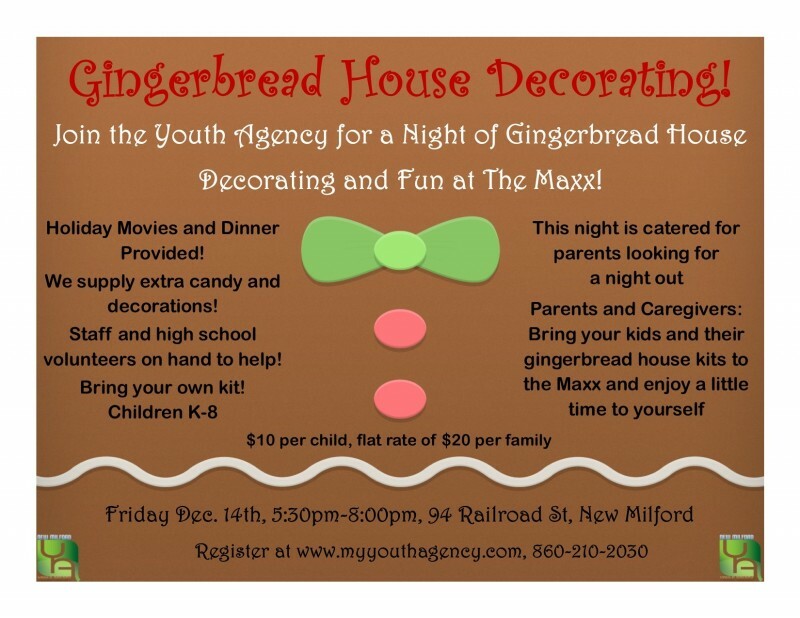 Join the Youth Agency for a night of gingerbread house decorating and fun at the Maxx! Holiday movies & dinner provided. We supply extra candy and decorations. Staff and high school volunteers on hand to help. This night is catered for parents looking for a night out! Parents & Caregivers: bring your kids and their gingerbread house kits to the Maxx and enjoy a little time to yourself!